LIVING MAP visualizes the change of summertime rainfall in Europe in future. 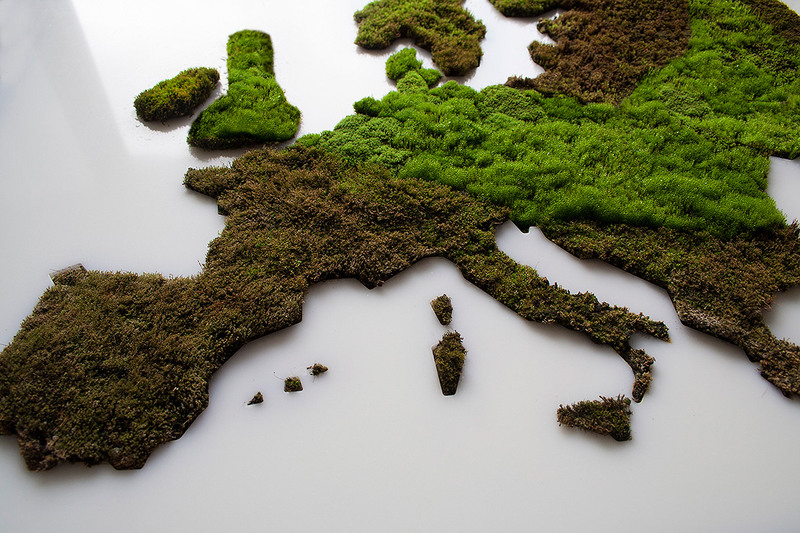 The precipitation data comes from the European Environmental Agency and was chosen because a rainfall plays a vital role in all human-environment: agriculture, water supply, energy production, tourism and natural ecosystems. 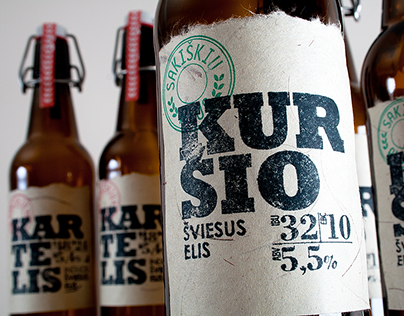 For a data visualization, a local ecosystem was created. A species of alive fire moss (Ceratondon purpureus) were plated onto a special surface. 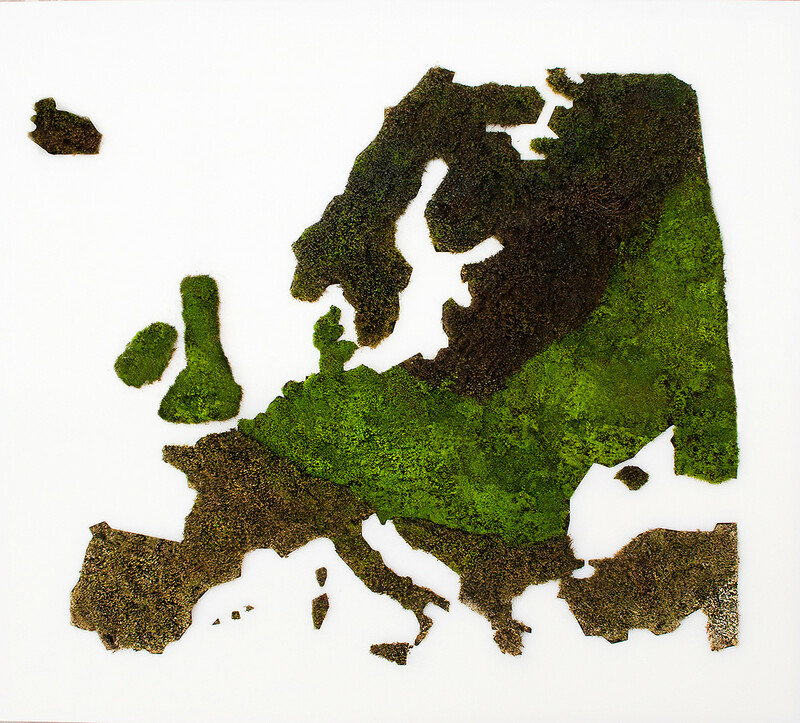 This type of moss can visually indicate the presence or absence of the water. If the moss receives enough water then it turns green. If it lacks water it turns brown or yellow. Excess of humidity makes the moss almost black. 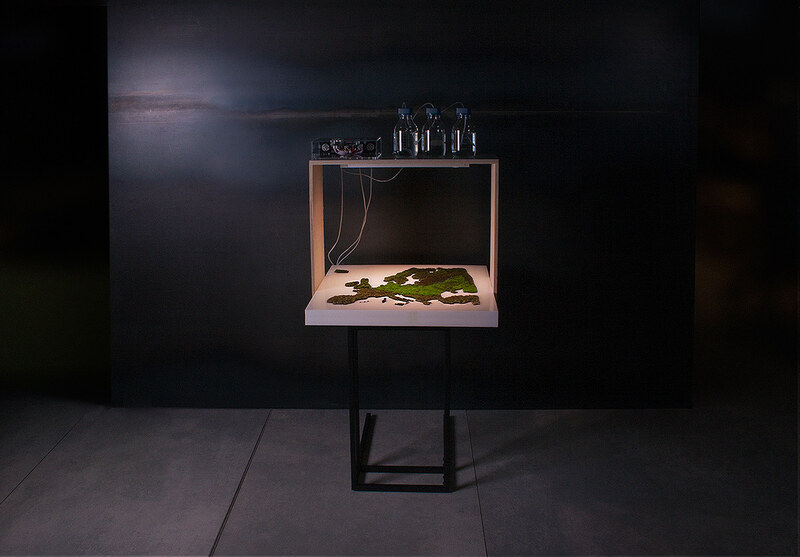 The controlled amount of water was supplied for a moss map. An amount of water correlates with digital data it means that different areas of the map received a different quantity of water. 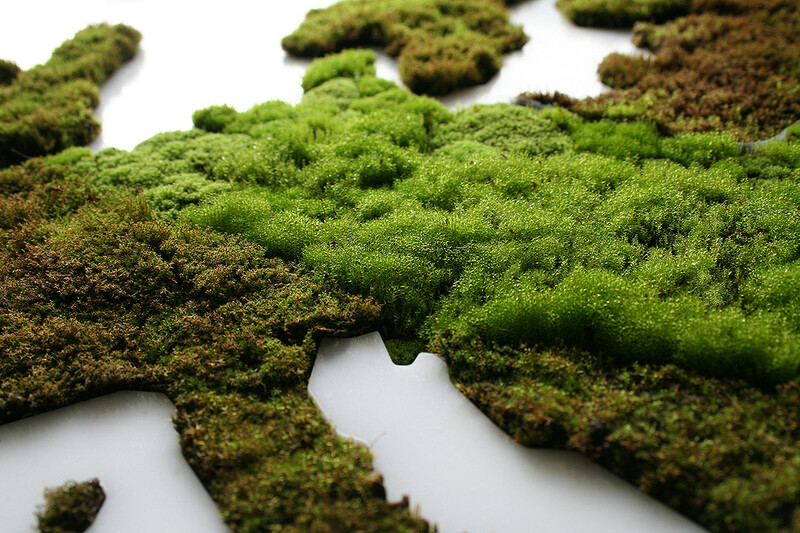 In a few months, a special moss pattern on the surface of the map was created. It metaphorically represents the possible environmental scenario in the European continent in 2070. 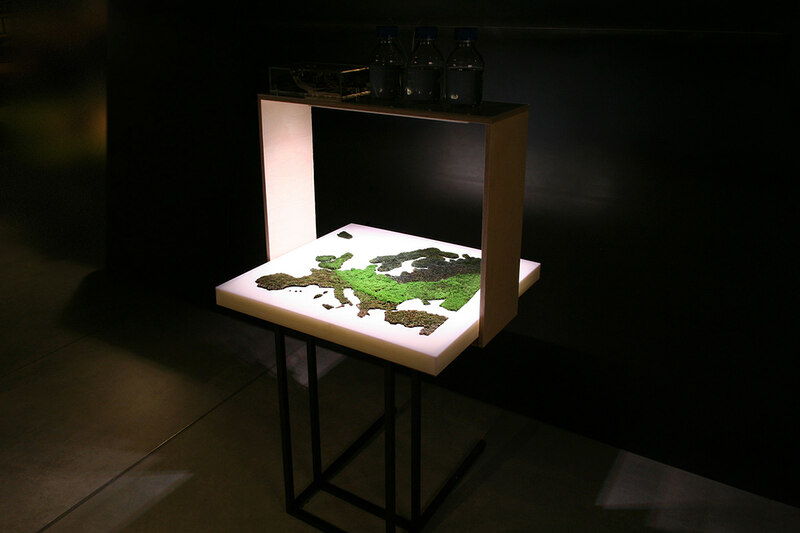 The LIVING MAP is an experi­mental visualization project, related to a doctoral study in Vilnius Academy of Arts, Lithuania. 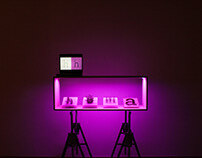 It explores displays of “rich information experience”. 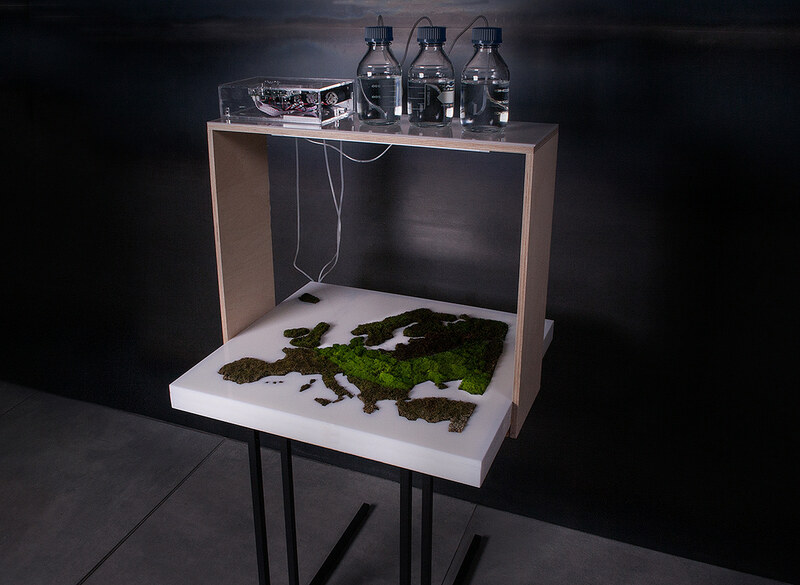 LIVING MAP is a physical visualization of rainfall data in Europe in year 2070 - 2100.